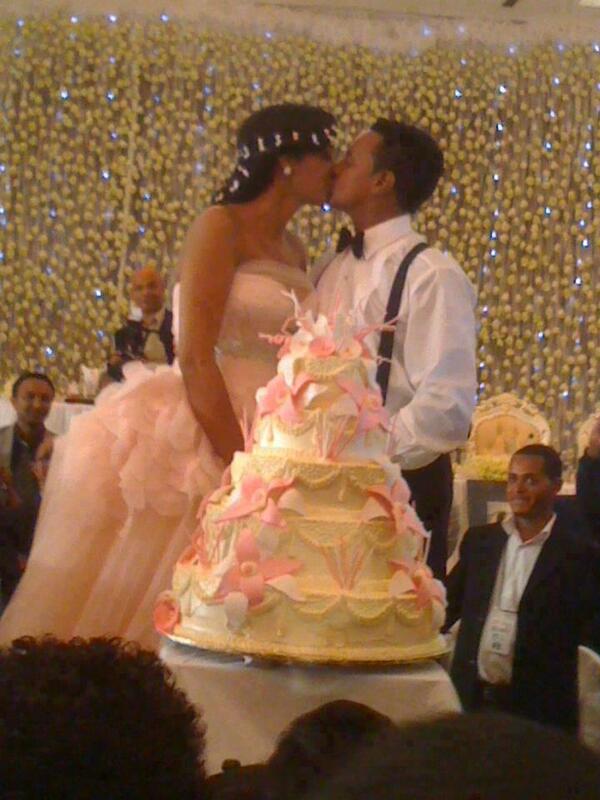 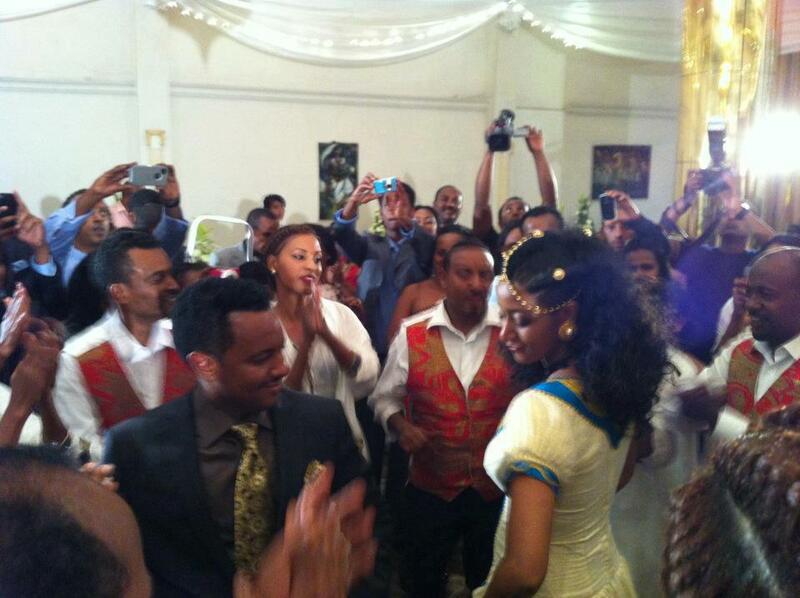 September 27, 2012 —Tewodros Kassahun, commonly known to his fans as Teddy Afro, married his fiance Amleset Muchie today. 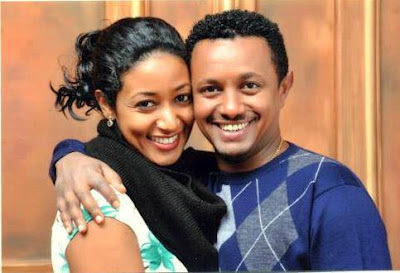 The deeply religious Ethiopian pop star proposed to his longtime girlfriend and former beauty pageant contestant last Easter, just a week before his smash album "Tikur Sew" was set to be released. 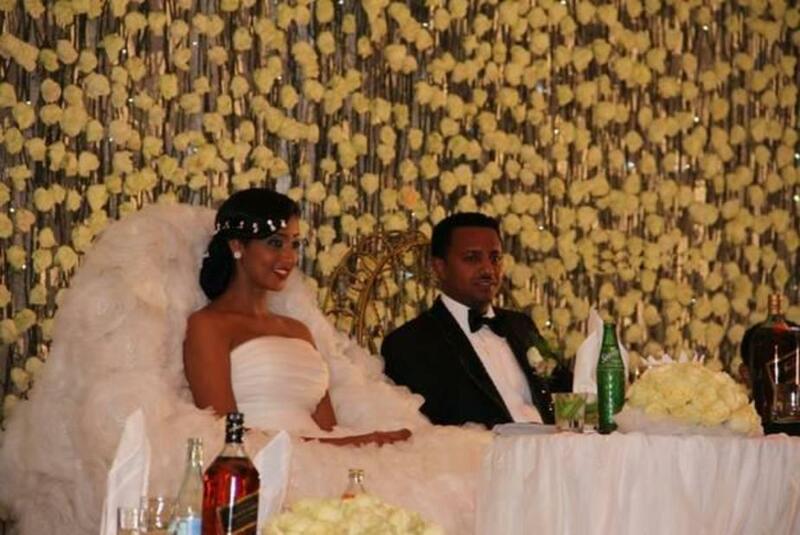 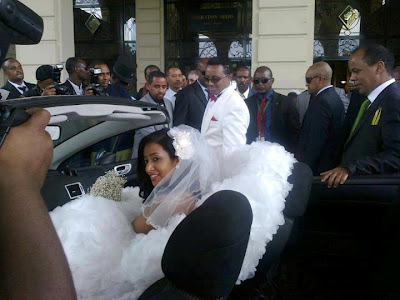 The lavish wedding ceremony was held at the Sheraton Hotel in the capital, Addis Ababa, where family members, close friends and a number of distinguished guests were in attendance. After their ceremony concluded, the couple stopped by at the National Theater and made donations to the Ethiopian Association of Persons with Disabilities. 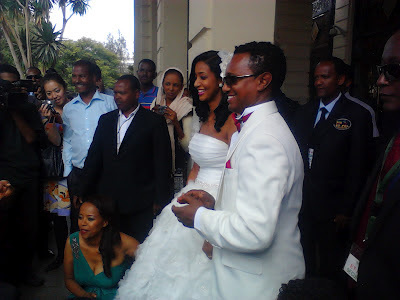 Days prior to his wedding celebrations were set to take place, the 37-year-old pop star released a wedding song for his devoted fans that was originally recorded five years ago. 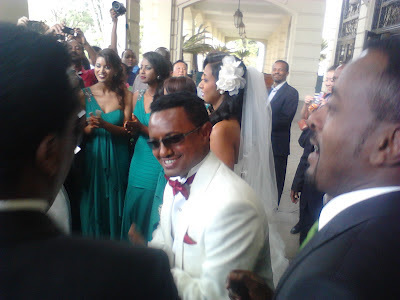 It is to be recalled, Teddy's next performance on stage is scheduled to take place three weeks after his big day.